Andrew Lownie Literary Agency :: Book :: History’s Greatest Heist. : The Looting of Russia by the Bolsheviks. History’s Greatest Heist. 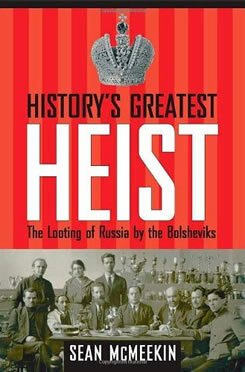 : The Looting of Russia by the Bolsheviks. Historians have never resolved a central mystery of the Russian Revolution: How did the Bolsheviks, despite facing a world of enemies and leaving nothing but economic ruin in their path, manage to stay in power through five long years of civil war? In this penetrating book, Sean McMeekin draws on previously undiscovered materials from the Soviet Ministry of Finance and other European and American archives to expose some of the darkest secrets of Russia’s early days of communism. Building on one archival revelation after another, the author reveals how the Bolsheviks financed their aggression through astonishingly extensive thievery. Their looting included everything from the cash savings of private citizens to gold, silver, diamonds, jewelry, icons, antiques and artwork. By tracking illicit Soviet financial transactions across Europe, McMeekin shows how Lenin’s regime accomplished history’s greatest heist between 1917 and 1922 and turned centuries of accumulated wealth into the sinews of class war. McMeekin also names names, introducing for the first time the compliant bankers, lawyers, and middlemen who, for a price, helped the Bolsheviks launder their loot, impoverish Russia, and impose their brutal will on millions. 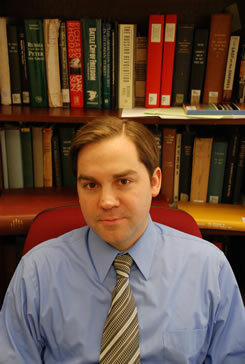 "McMeekin’s prodigious research uncovers what may be called the financial history of the Bolshevik revolution. It is quite a remarkable book." "Sean McMeekin has many talents: he can count, and he can handle sources in many languages; he also writes with great fluency. Here he takes on a guessed-at, but never really documented, subject: how the Bolsheviks stole Russian gold, sold it through silly-clever bankers in Sweden, and used it to buy even weaponry from their opponents. It is an extraordinary story, scholarship at its best." "This book . . . is a work of considerable scholarship and the fruit of much archival probing by a fine scholar of early Bolshevism—and much of it is fresh, exciting and overdue. . . . It has a contemporary relevance since it is the first study of illegal funding—or, as we would say today, sanctions busting—on a colossal scale…This book is a superb work. " "Formidably documented, morally impassioned…History’s Greatest Heist is filled with vivid images of theft and spoliation, of warehouses full of jewels and briefcases stuffed with rubles. But the real value of the book is that it shows just how well the West lived up to Lenin’s cynical prophecy: “The capitalists will sell us the rope with which to hang them.”"
"This is a compelling story, and it is vividly and expertly told. McMeekin’s research is exceptionally wide-ranging … He not only tells good anecdotes, he makes sense of them. " "In relating this morbidly fascinating tale of complicity between the Bolsheviks and their growing numbers of willing partners in the West, McMeekin trots out a large cast of shady Russian and Western characters and chronicles their transactions in painstaking detail. But he stays focused on his central thesis about how this allowed the Bolsheviks to prevail at the cost of the Russian people."